If you’ve been following me or ATHLEAN-X for any length of time you know that I’m always on the lookout for the latest that science has to offer when it comes to either sports nutrition or building muscle. Must be the physical therapist in me. I just can’t “go with the pack” on things unless I am 100% convinced myself about HOW and WHY something works, works safely, and is something I could recommend to my readers. All you have to do is look at my refusal to include 1,3-dimethylamylamine in my ATHLEAN-Rx products because I just felt that something wasn’t right with the stuff. Looked dangerous…science seemed to think it was dangerous…and now the World Anti-doping Association agrees…AND IT’S BANNED!! Well…One of the supplements I’ve gone on record as saying is a MUST-HAVE for anyone serious about their health and fitness and especially trying to build lean muscle quickly is HIGH GRADE OMEGA-3’s. I emphasize “HIGH GRADE” because like everything else out there…just because it says OMEGA-3 doesn’t mean it’s the same. That’s like saying a Ferrari is the same as a Hyundai because they’re both cars!! That said….check out what this most recent study is showing about two of the most important findings of high grade omega-3’s. High Grade Omega-3’s are ANTI-CATABOLIC! When you’re undergoing intense strength training your body is constantly in a back and forth state of breaking itself down to build itself back up stronger and bigger. Nutrition and rest/recovery play a huge role in how effective your body is at doing this. BUT…even the best diet is most often lacking in omega-3’s…an ‘x-factor’ in muscle growth as you’re about to see. Muscle protein breakdown is now known to be caused by something called the ubiquitin-proteasome system. Don’t worry, there won’t be a quiz. But what I want you to know is that it is this system that is directly affected by one of the active ingredients in omega-3’s. The EPA in high grade omega-3’s DECREASES the activity of the ubiquitin-proteasome system (aka…the MUSCLE WASTING SYSTEM!) and helps you to preserve much more muscle than you otherwise would have burned. High Grade Omega-3’s are ANABOLIC! As if preventing muscle breakdown wasn’t enough to shift the balance of muscle growth in your favor now the news just got better…much better! In a recent study…it was found that weight trainers that supplemented their diets with 3-4 grams of essential omega-3’s per day (a daily dose of 1.8g EPA and 1.5g DHA respectively…the active ingredients in omega-3’s and the dosage found in Dr. C’s Omega-3’s) SIGNIFICANTLY INCREASED THE ANABOLIC RESPONSE TO AMINO ACIDS AND INSULIN! You know what that means?? That means that omega-3’s are not only able to prevent muscle protein breakdown but they are able to BOOST the anabolic effect of all the other protein you take in in your diet and supplements to give you amplified muscle growth! I’ve been saying it all along. Omega-3’s are a MUST for anyone lifting weights. Now, science has just provided two more reasons. Look, even when we’re eating perfectly (as I always try to do) we still never come close to getting the proper amount of Omega-3’s on a day in day out basis. We don’t eat enough of the foods that contain them and not in nearly enough quantities to provide an impact. And you therefore should DEFINITELY be supplementing. For those that have not seen my youtube video on the topic that I did awhile back, take just 4 minutes to take a quick look at that as I explain some of the reasons why I’ve been so adamant about the importance of supplementation especially when it comes to omega-3’s (you can see that here…) I have been a believer and user of my physician father’s brand of pharmaceutical grade omega-3’s for over 20 years now! They absolutely have contributed to the physique I have today and even my ability to heal from the appendectomy surgery I had almost exactly one year ago without losing much muscle. In fact, after the surgery I wasn’t able to eat for over 7 days due to the initial pain, and a few complications thrown in had me down 12 pounds! Not something I could afford to do at my already lean bodyfat levels. Well, after restarting my supplementation of the pharmaceutical grade omega-3’s, I was not only able to regain 8 of those pounds back in just over 10 days but was back in the gym training as hard as I was before this all happened in a matter of a couple weeks! If I needed any more hard evidence about the effectiveness of these things when it comes to muscle repair and accelerated recovery and growth…I had gotten it! 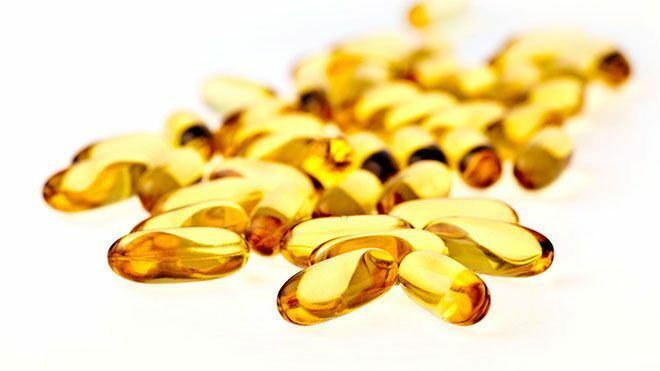 If you aren’t currently taking omega-3’s as part of your daily routine or more specifically high quality PHARMACEUTICAL grade omega-3’s then I would invite you to take the same ones I do because I can truly speak to their effectiveness and the fact that they flat out work. Dr. Michael Cavaliere’s High Grade Omega-3’s. Look, I know he’s my dad, but he’s the smartest guy I know. He’s a highly respected doctor in internal medicine and has been on forefront of Omega-3’s benefits for longer than I’ve been taking them. Meantime, hope this wasn’t too long and you found the research as exciting as I did and more so…the potential it holds for your accelerated results from your A-X training! REMEMBER…a Ferrari and a Hyundai are not the same just because they’re both cars! High grade MEANS high grade for a reason…and you get what you pay for when it comes to Omega-3’s.